This rose gold chronograph from the Lucy collection is feminine and delicate; and is accented with a sparkling crystal bezel. 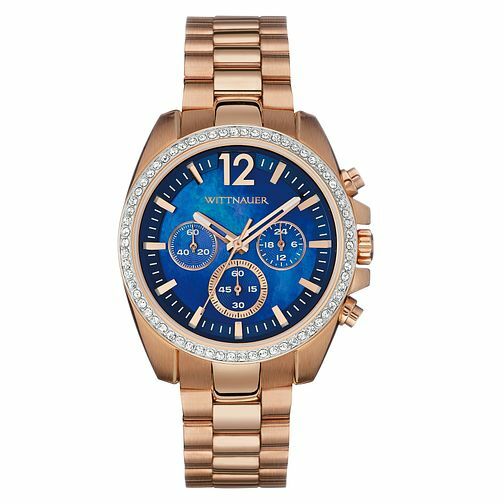 The blue colour pop of the dial makes this watch on trend and bright, whilst remaining classic and understated. This piece also has 50m water resistance making if practical as well as fashionable.